What does it take to make a man? Are they made by design or by default? Brian Molitor insists that a strategic plan is not only helpful, but absolutely necessary to transform young boys into productive and godly men. In five engaging conversations with father and actor, Kirk Cameron, Brian teaches how to create and implement this plan, and more importantly, how to consistently live it and maintain it. Your son can succeed in today's complex world. 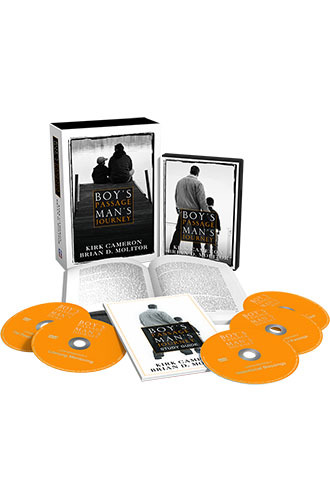 Discover how to design and implement a strategic plan for young men-in-the-making using the powerful principles of lifelong mentoring, intentional blessing, and rites of passage.